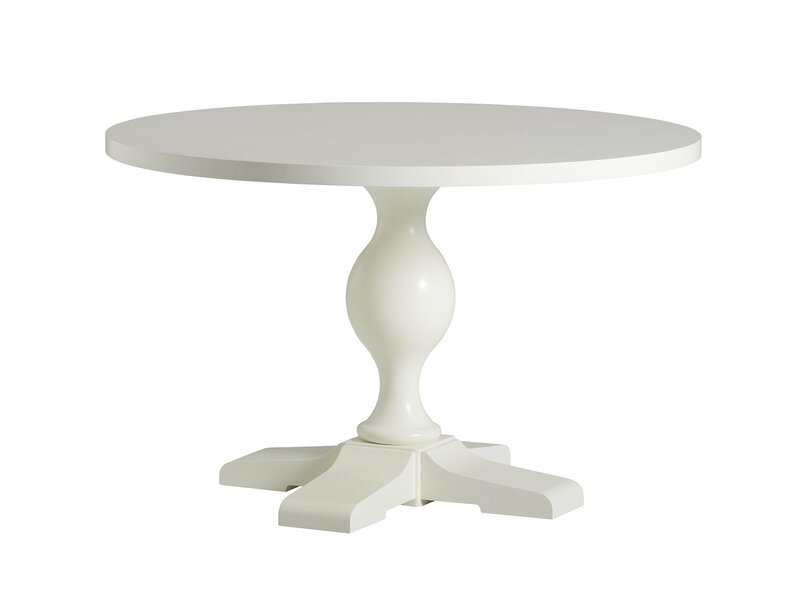 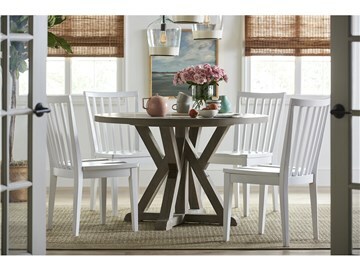 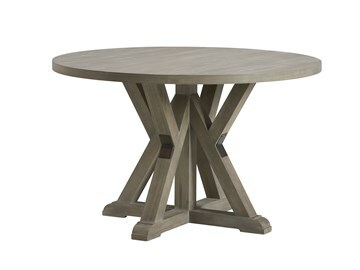 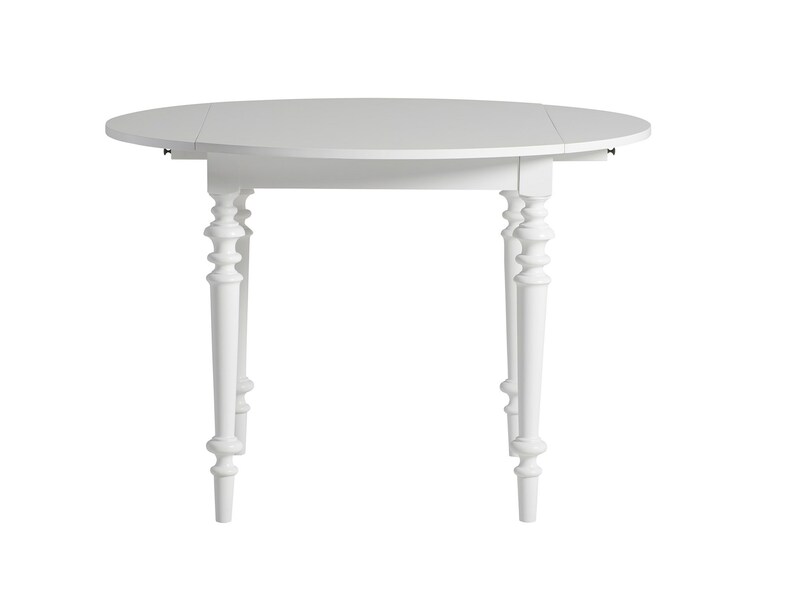 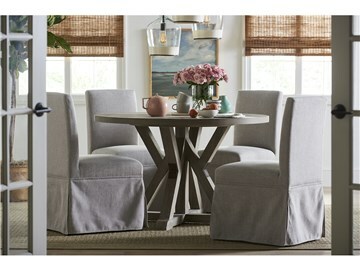 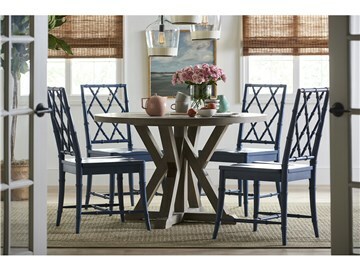 This round dining table is, in the truest sense, all about that base. 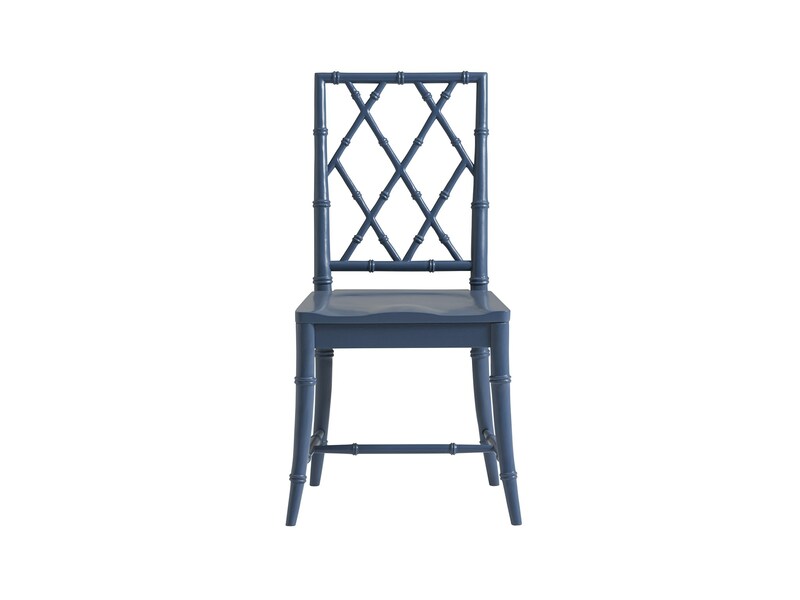 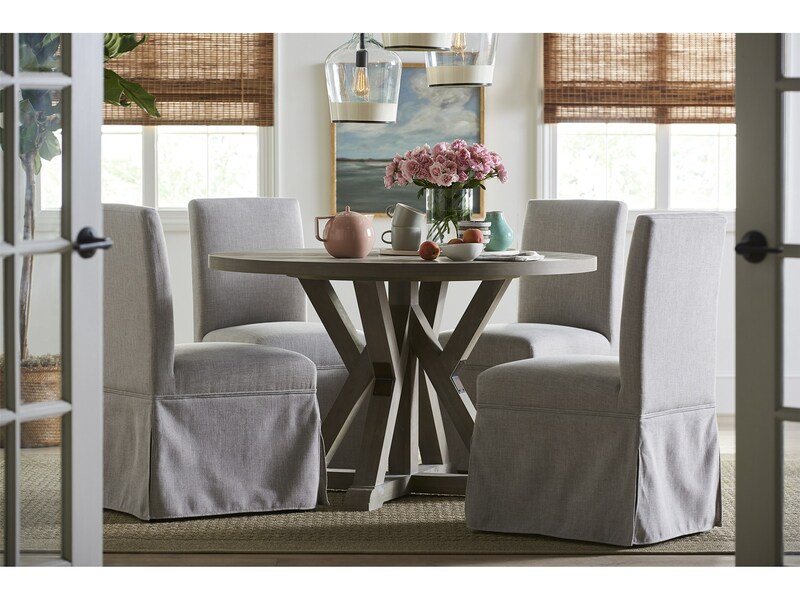 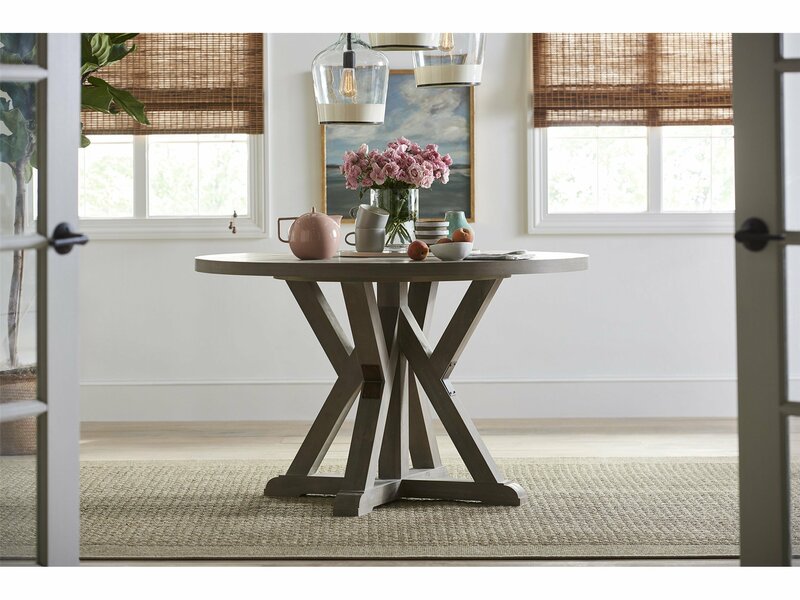 It pairs the interest of a trestle-based dining table and the convenience of a works-anywhere round table that can slide right into a breakfast nook or a formal dining room. 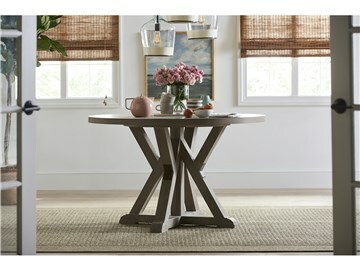 And because a little hardware never hurt, we added some handsome bronze metal plates to complete the look. 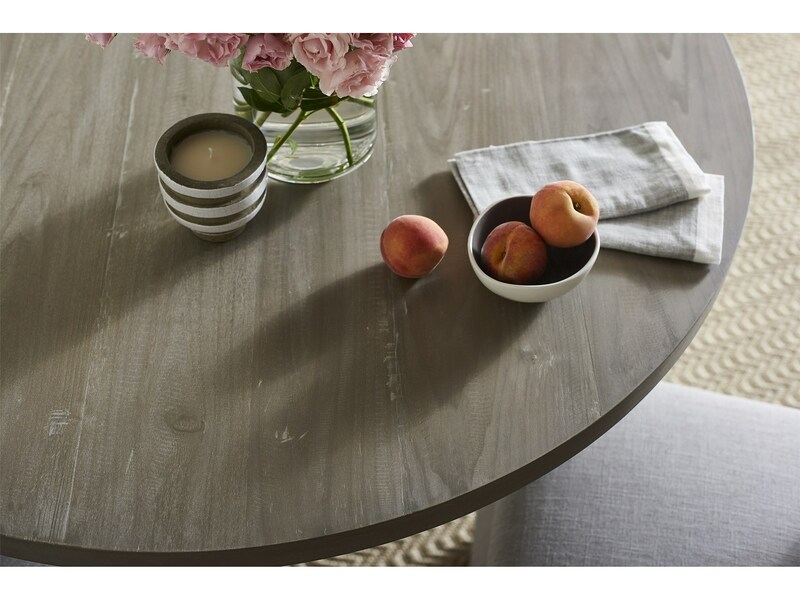 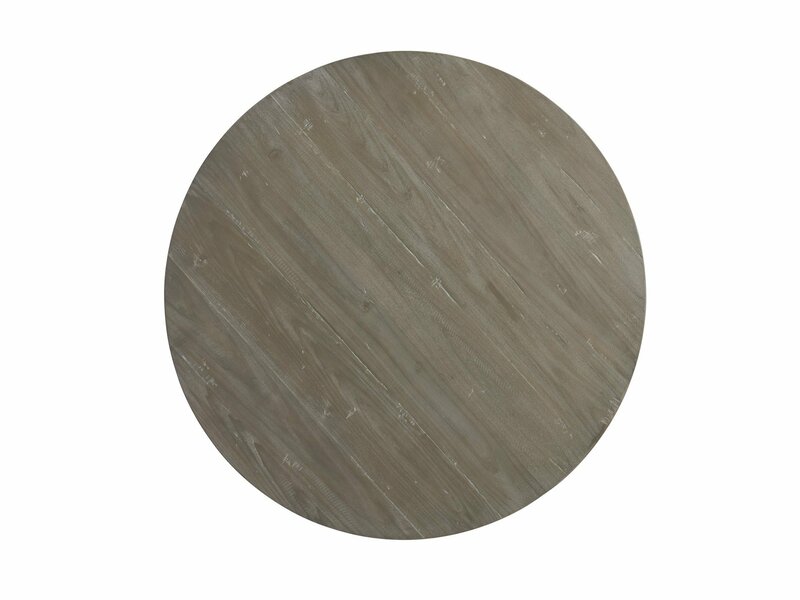 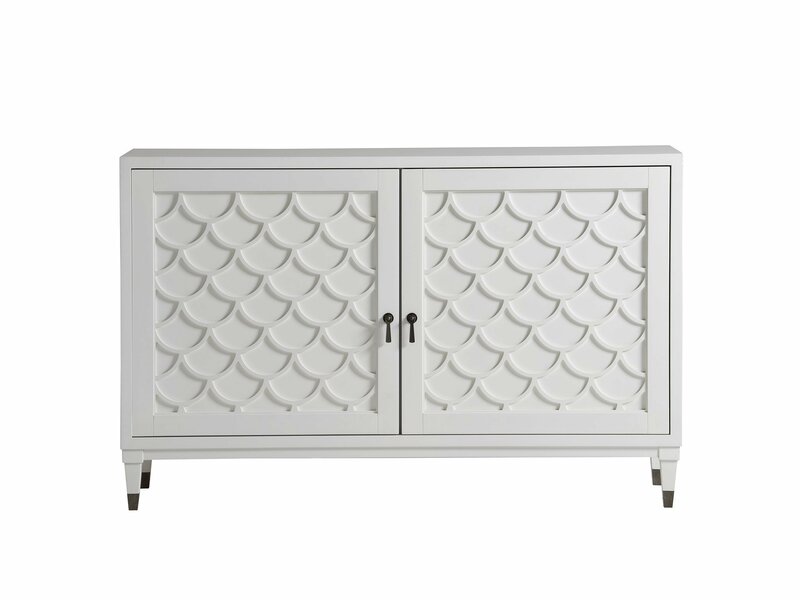 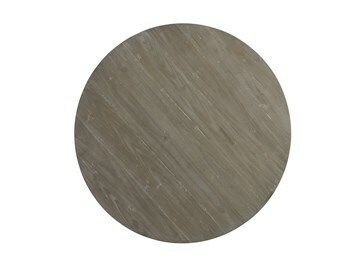 Item Features: Poplar veneer top with a gray stain finish. 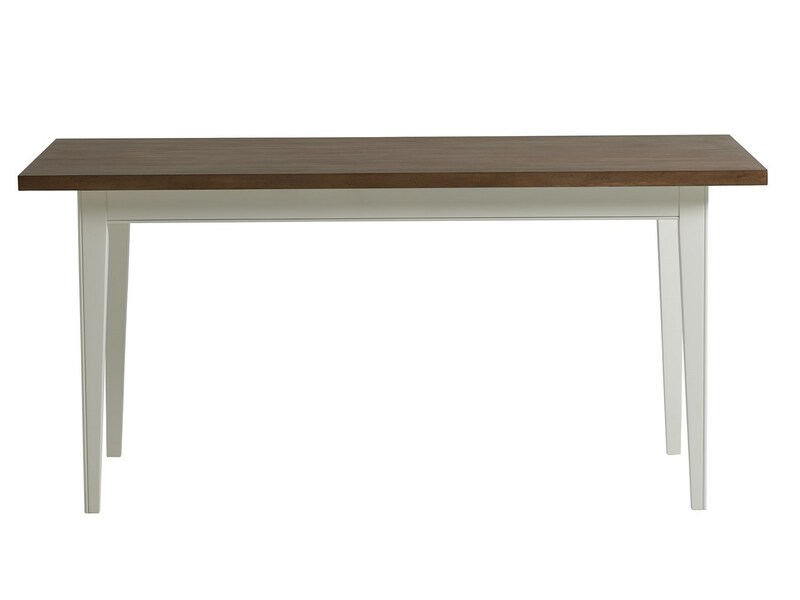 Rubberwood legs with a stain finish.